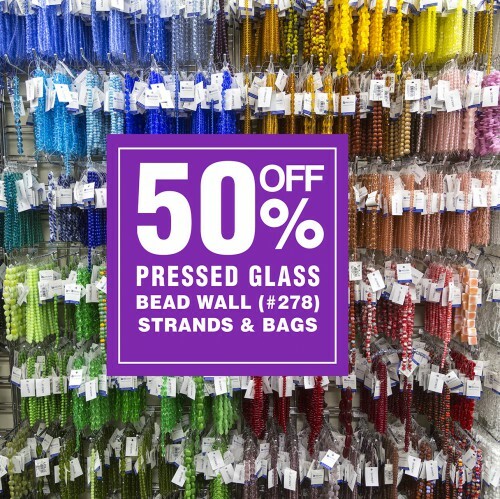 The wall of beads is marked with signage. 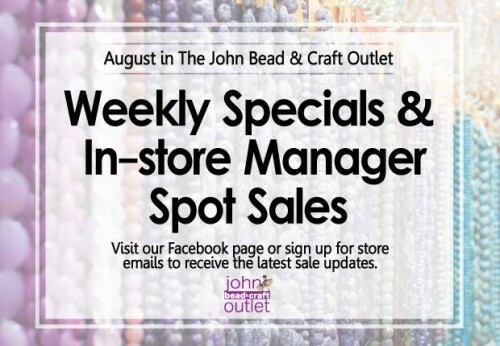 Our Manager also has sales throughout the store. 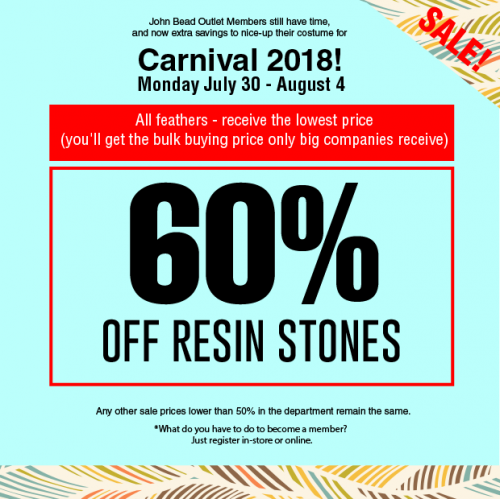 The Toronto Carnival Grande Parade is this weekend. 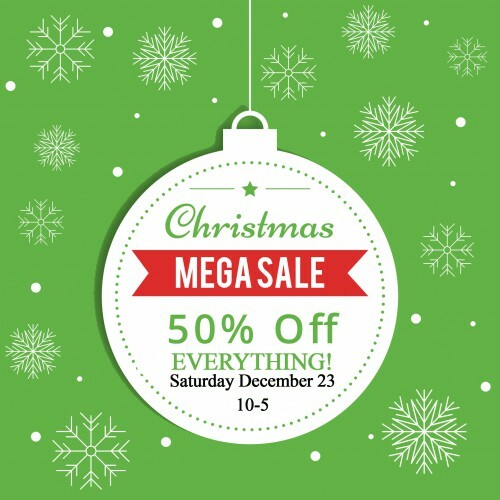 is now on sale until Saturday! 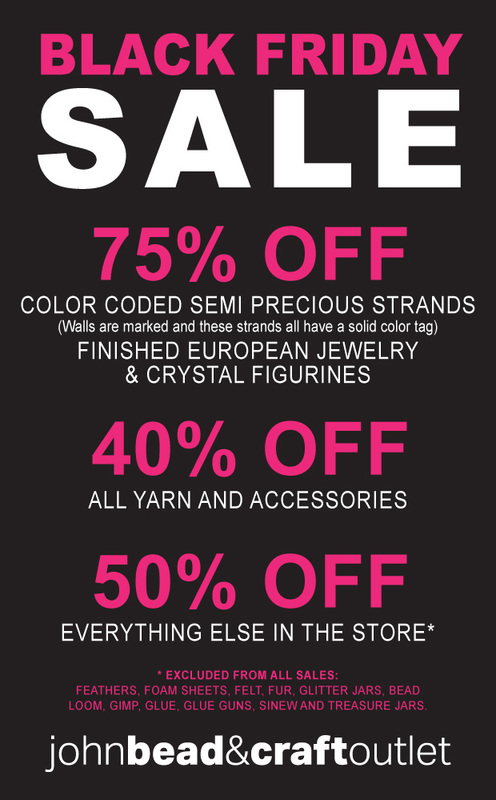 Your Favorites! 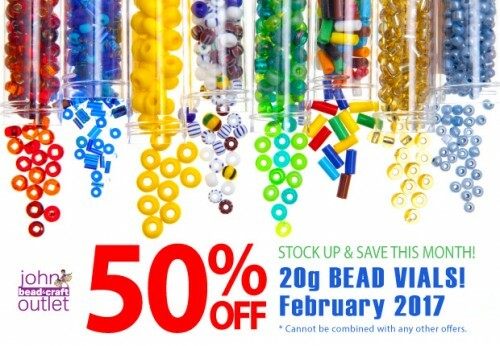 We have a mountain of vials and a major discount! 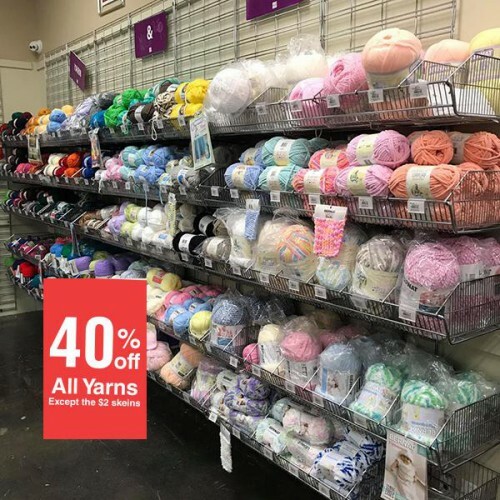 This is a great opportunity to select colors you may not have in your stash. 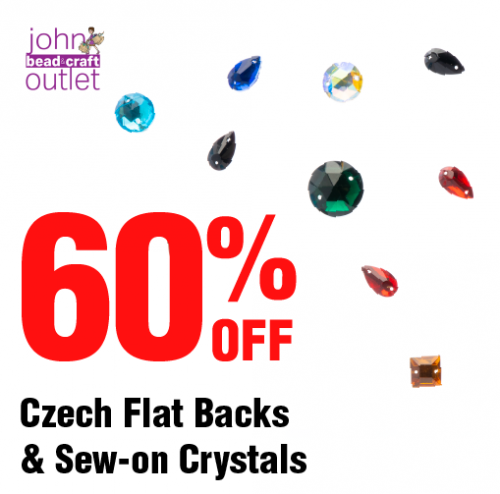 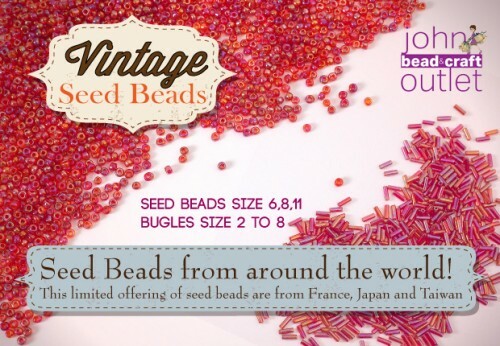 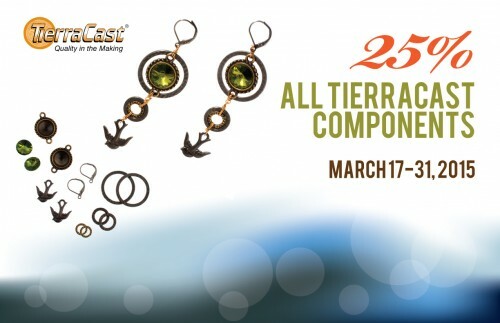 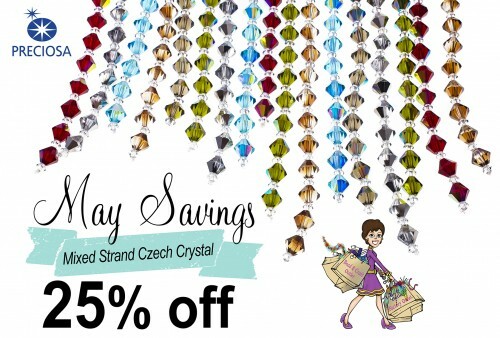 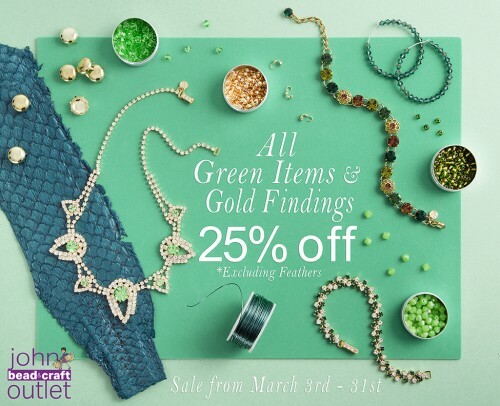 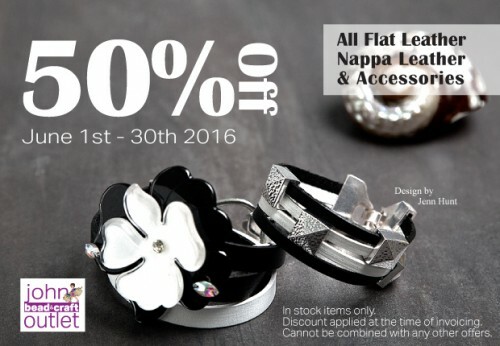 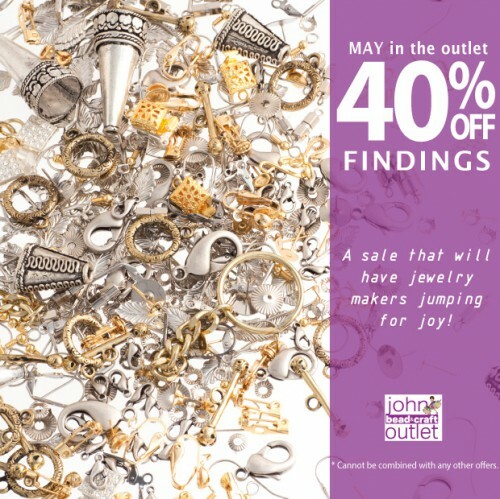 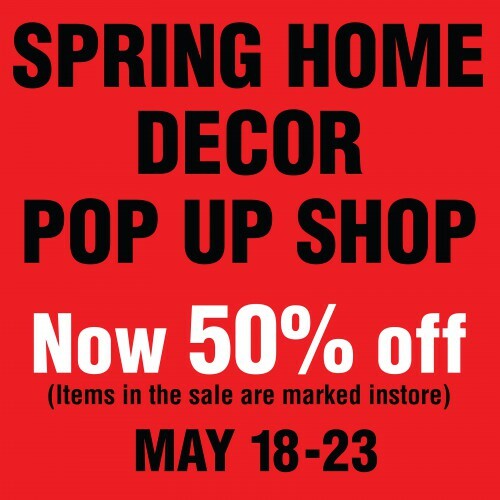 Our once a year big sale on FINDINGS! 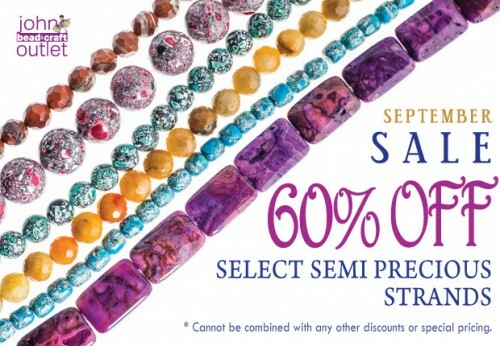 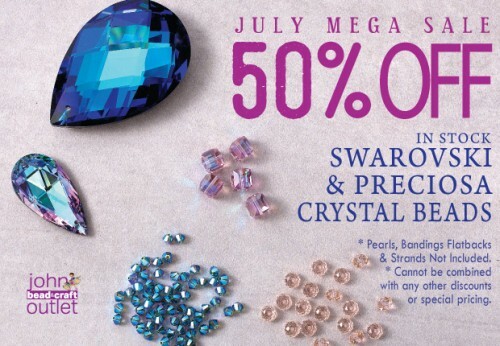 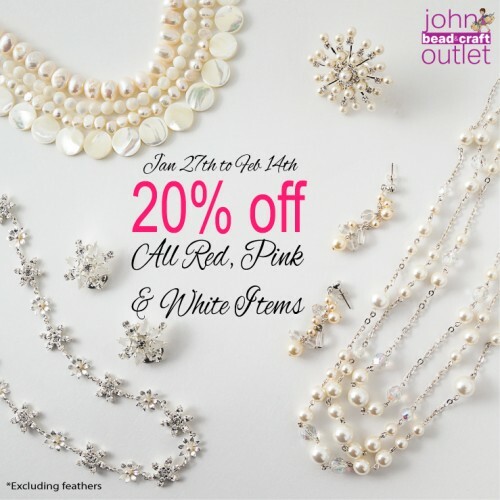 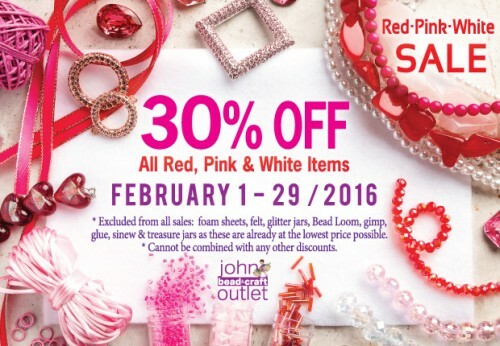 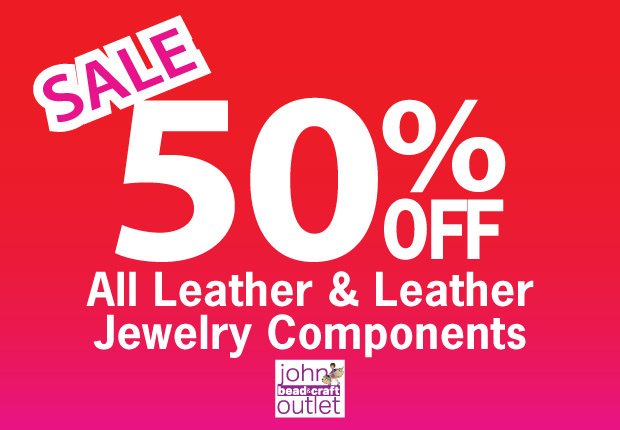 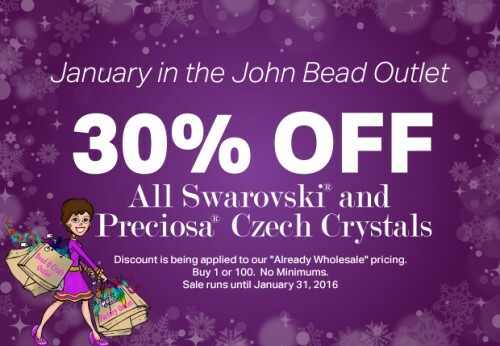 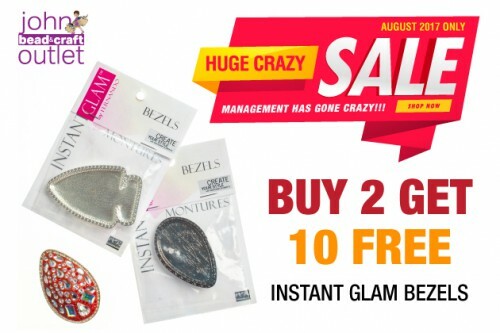 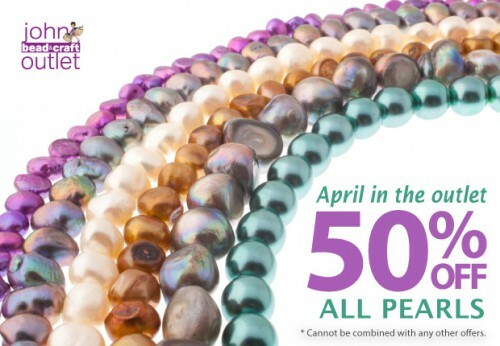 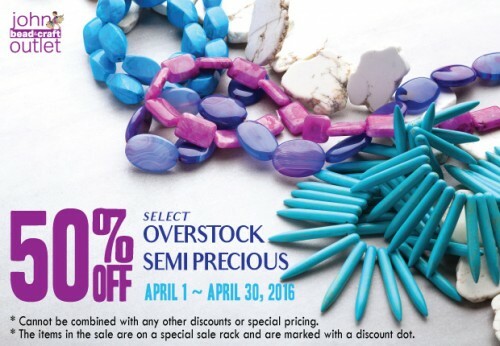 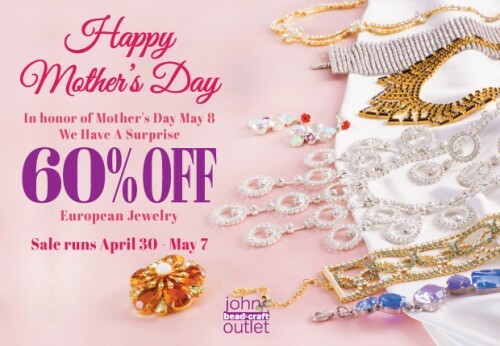 This is the stock up and save sale jewelers wait for. We have a rather large collection of findings and the sale areas will be well marked. 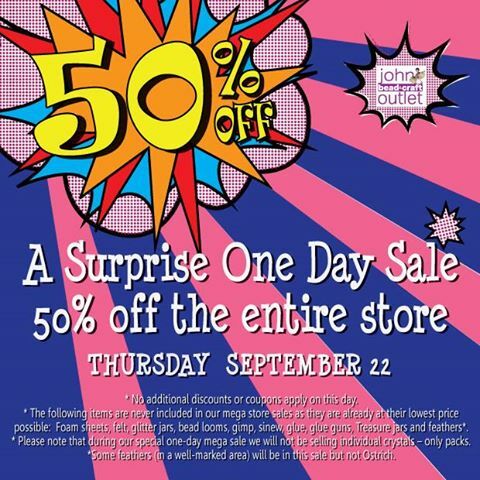 All other sales in the store are cancelled over these two days. 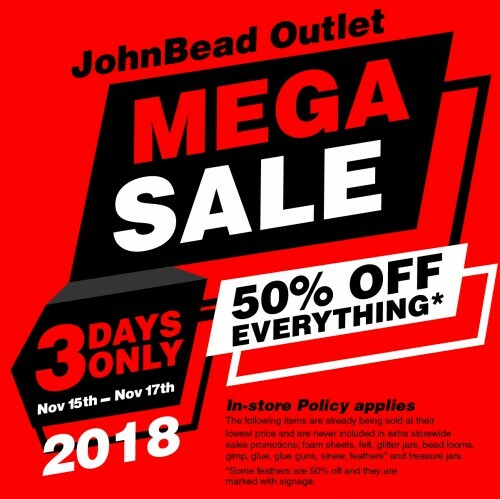 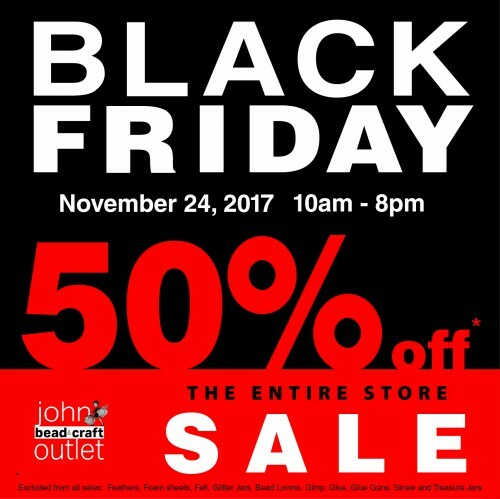 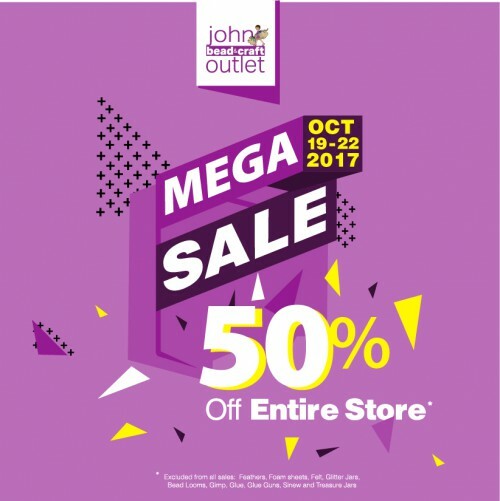 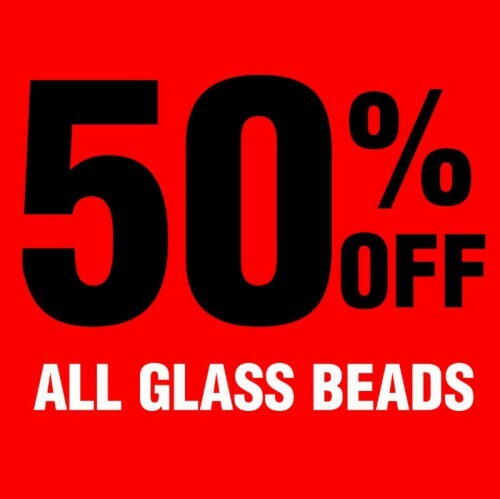 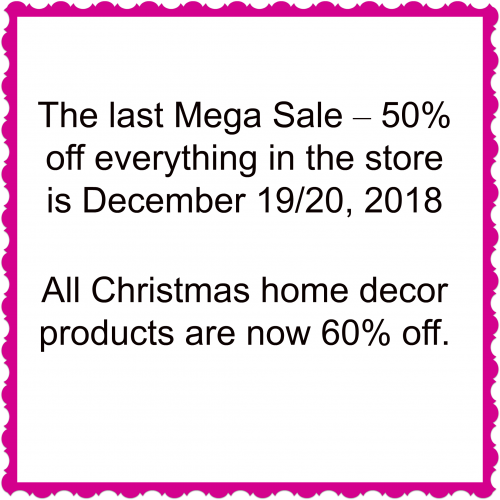 50% off is applied to everything (included in the sale) at the register. 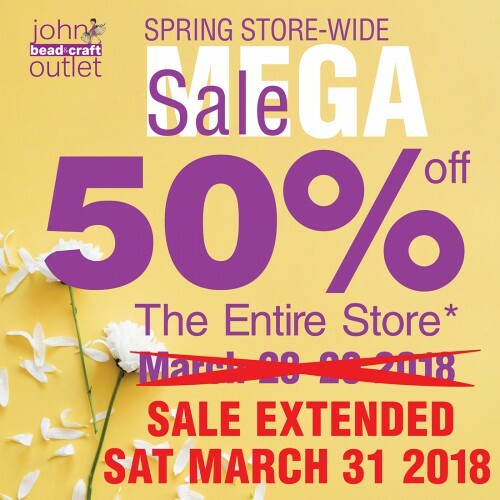 Your membership discount is not applied on top of the 50%. 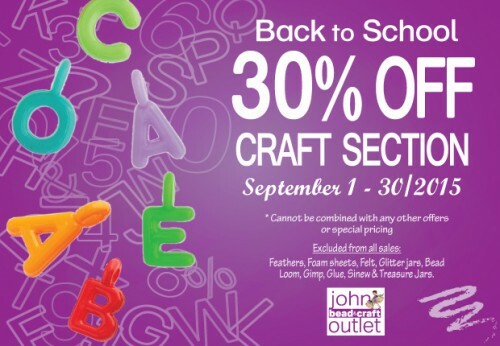 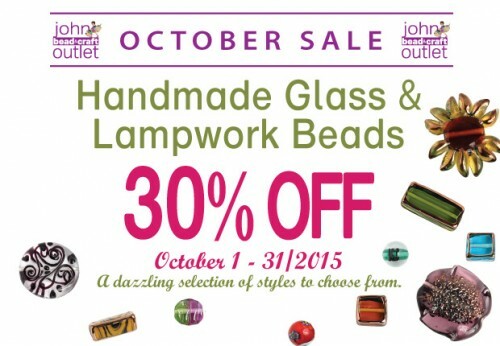 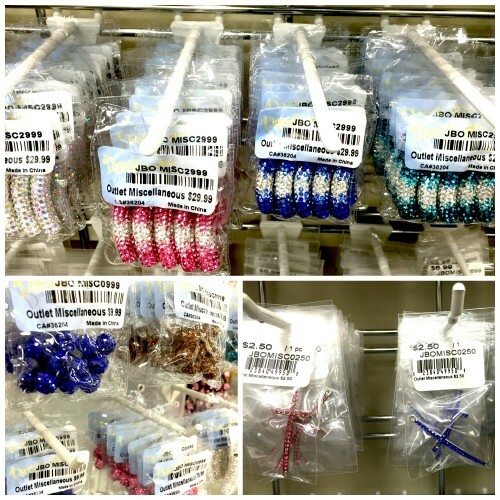 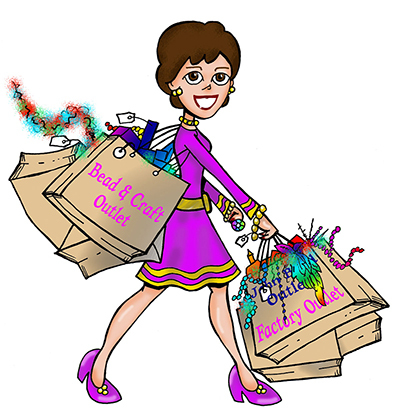 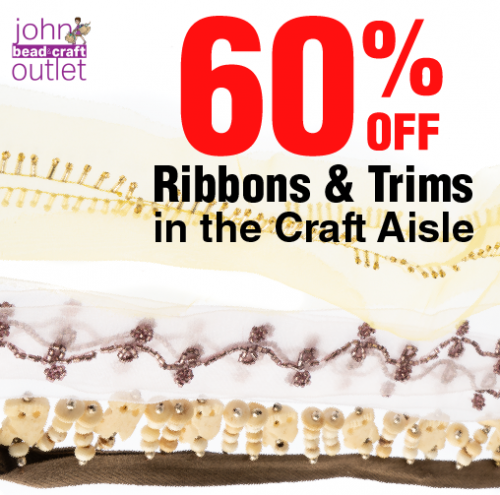 bead looms, gimp, glue, glue guns, gift certificates, sinew and treasure jars. 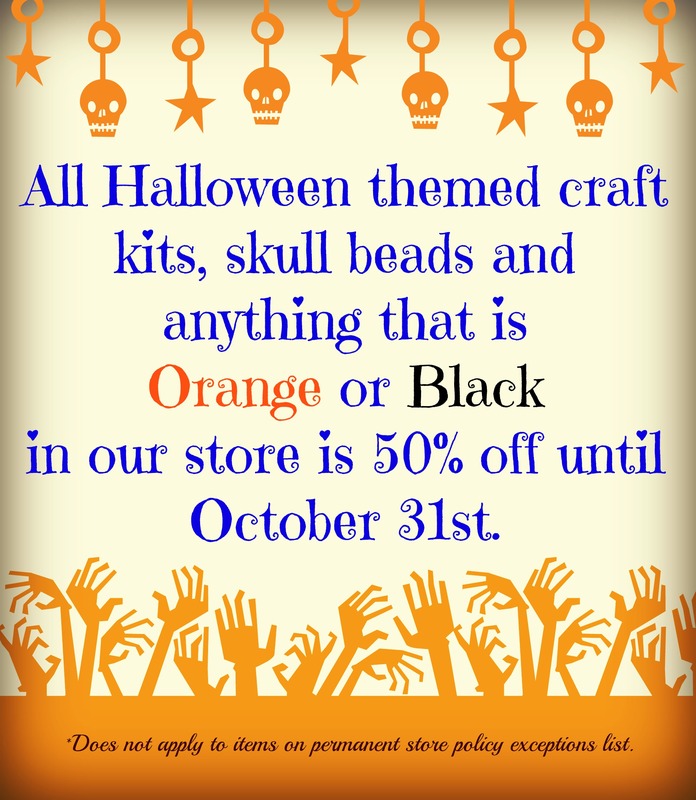 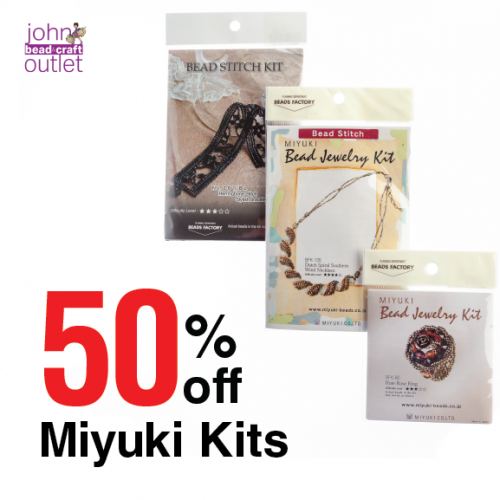 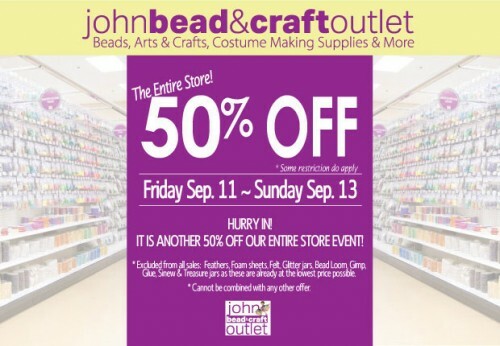 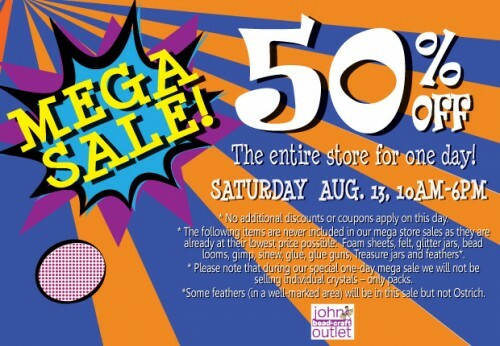 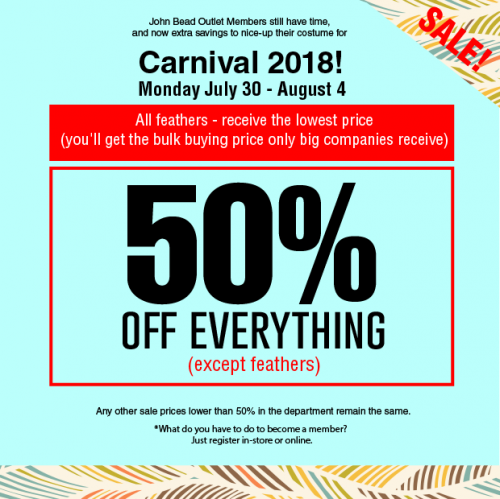 *some feathers, bras and carnival items are already 50% off and they are marked with signage. 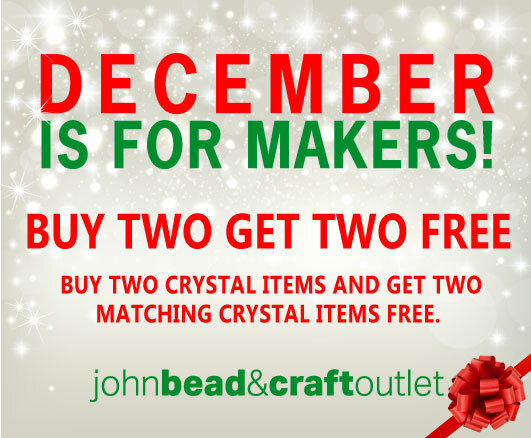 Two Days Only! 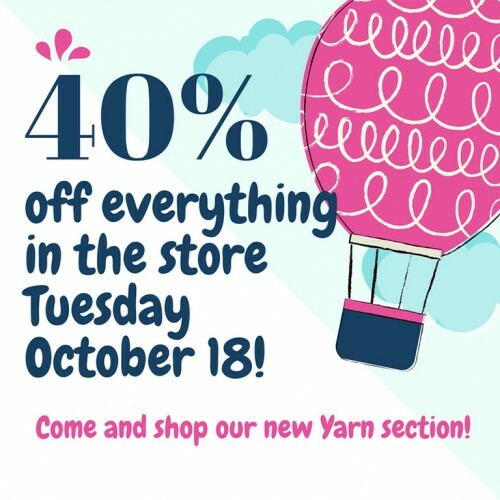 Please read post explaining exceptions. 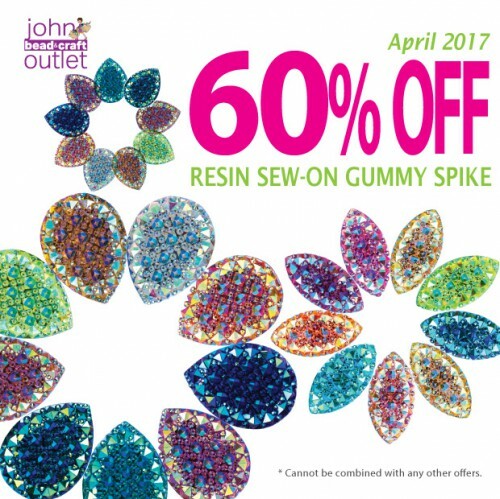 January 2018 – SUGAR Resin Stone collection now 60% off! 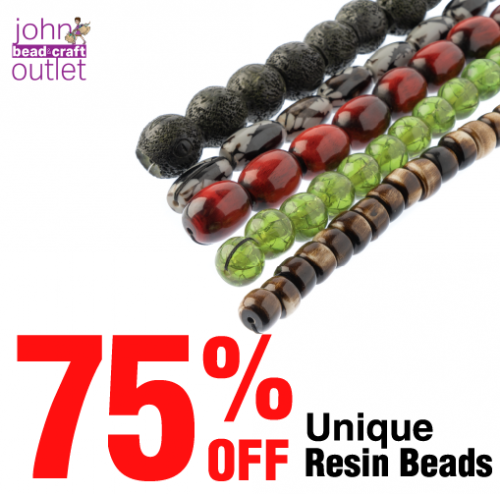 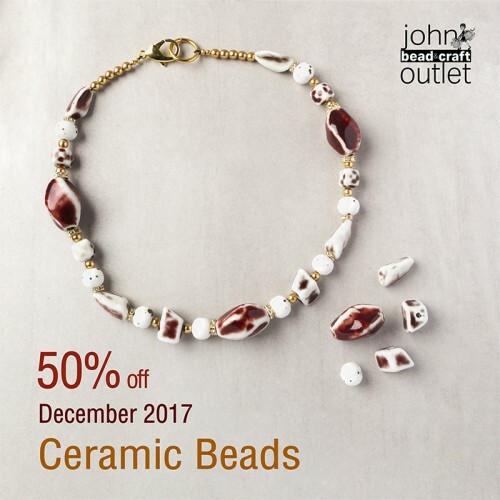 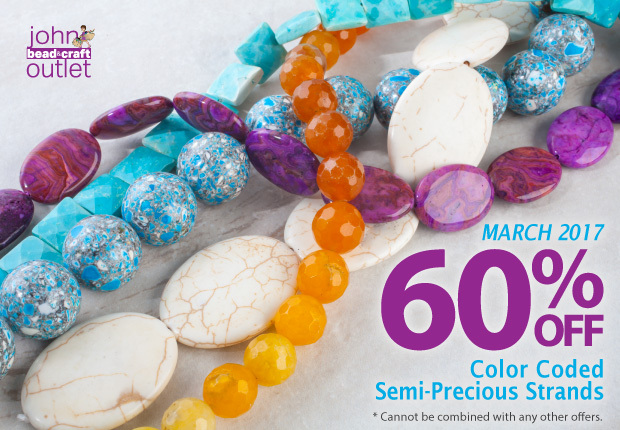 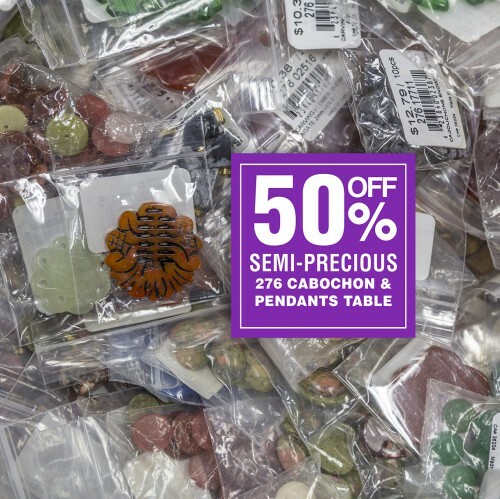 January 2018 – BRIGHT Resin Stone collection now 60% off! 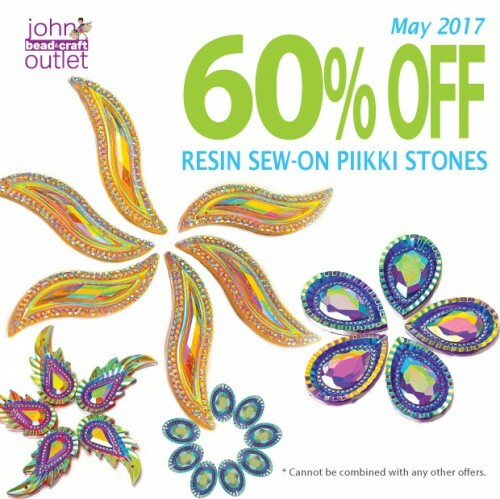 January 2018 – CRINKLE Resin Stone collection now 60% off! 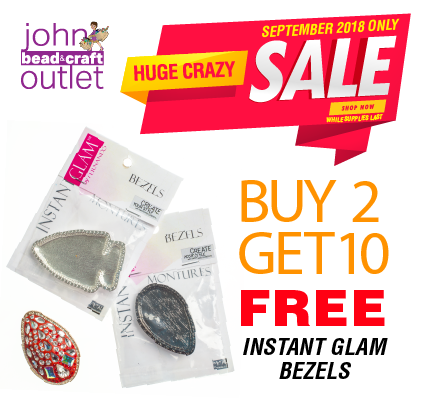 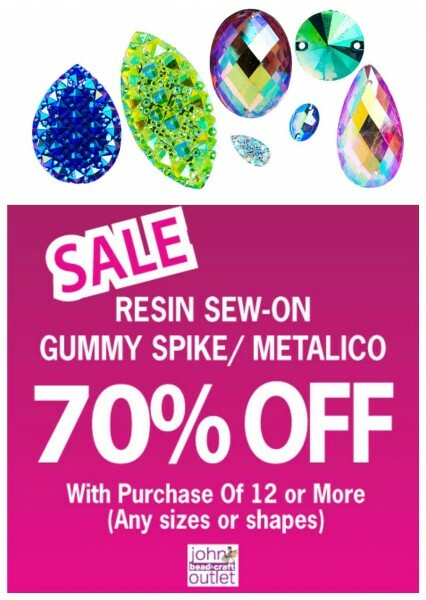 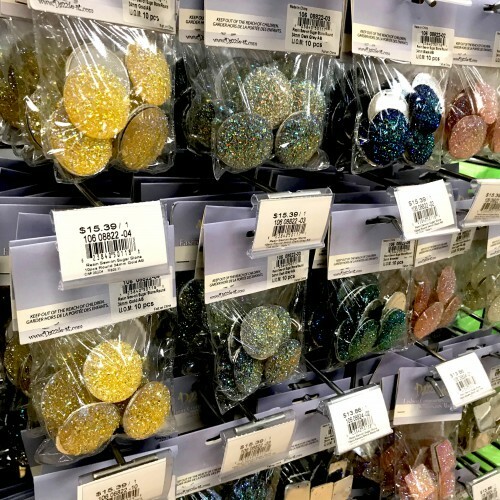 January 2018 – Glitter Resin Stone collection now 60% off! 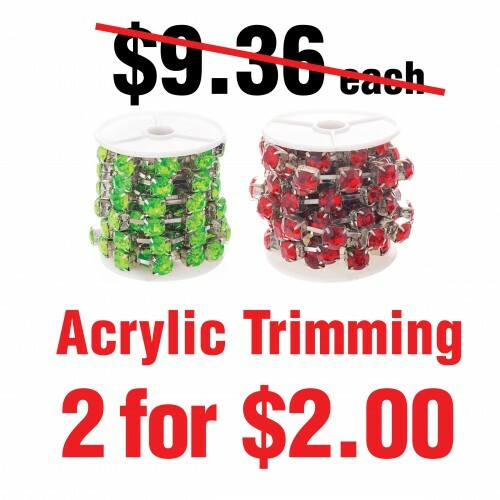 Original price $83.25 now $20 for 5m card. 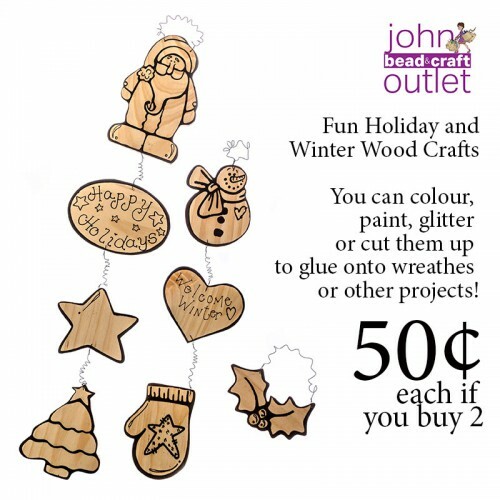 Or purchase by the meter for $5! 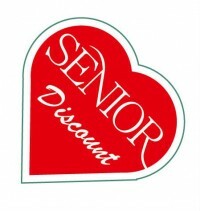 Original price $40.93 now $15 for 5m card. 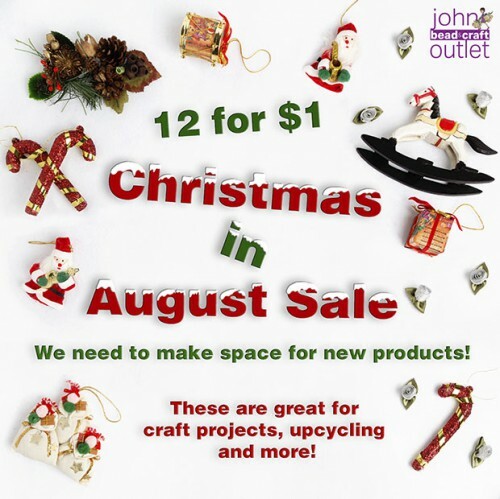 Or purchase by the meter for $3! 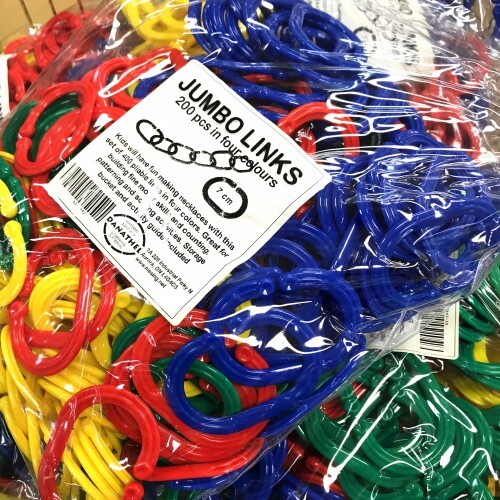 January 2018 – Jumbo Links 200 pack now $5! 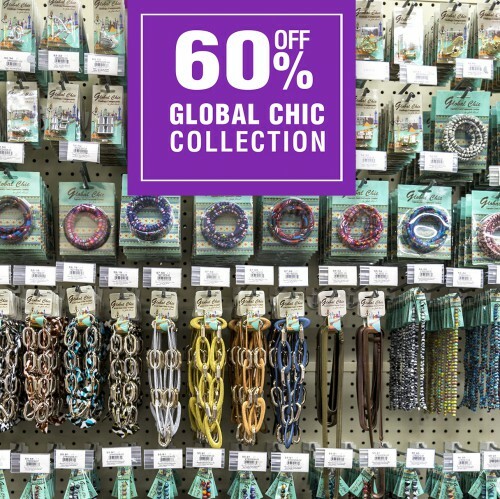 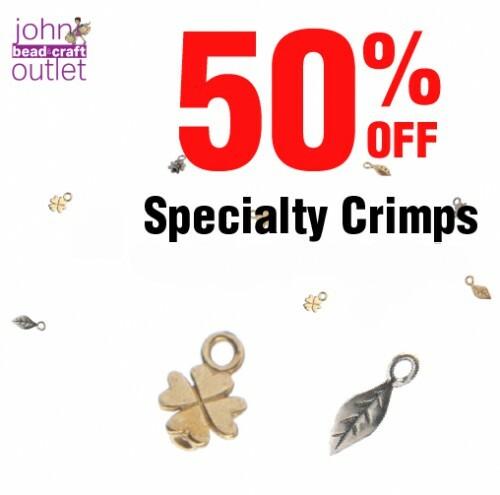 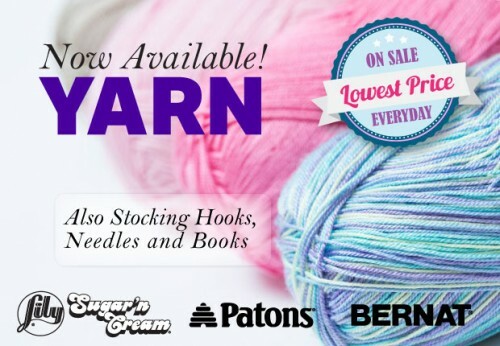 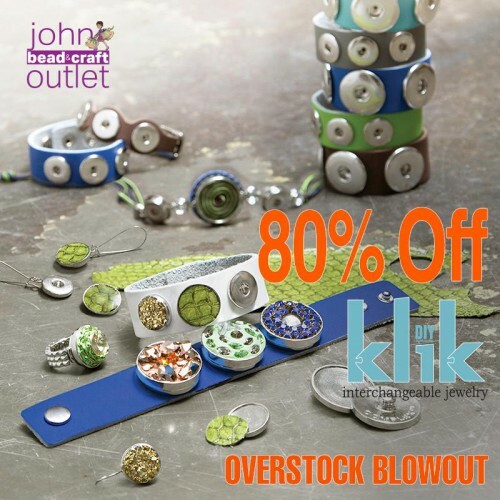 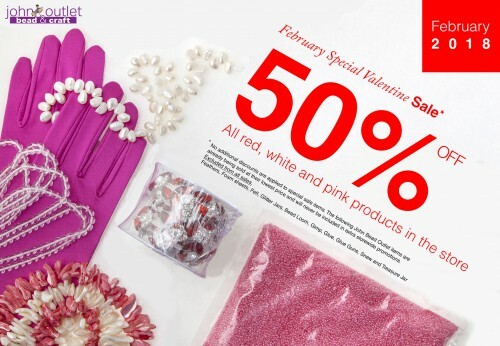 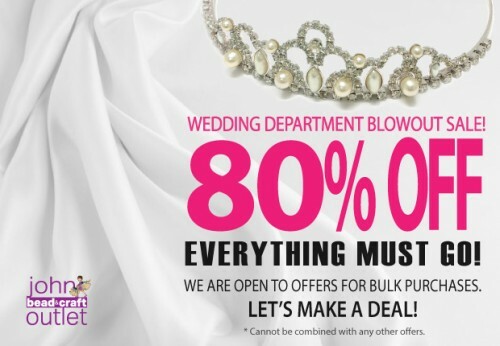 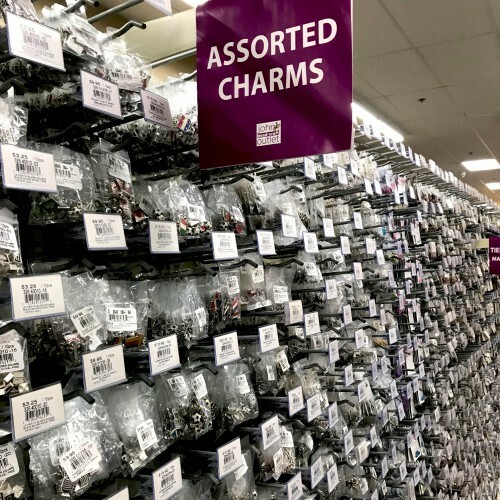 January 2018 – Assorted Charms Big Wall – Now 60% off! 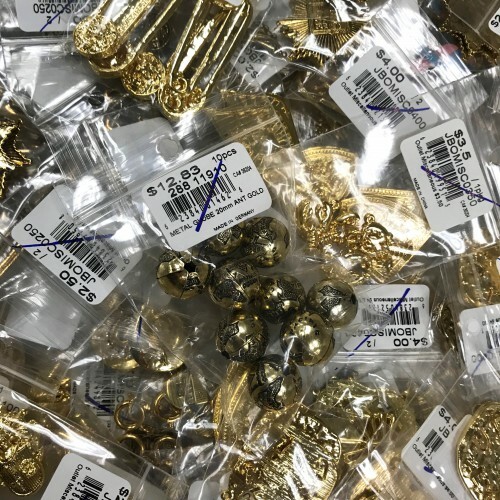 January 2018 – New BIN – Featuring Metal Components! 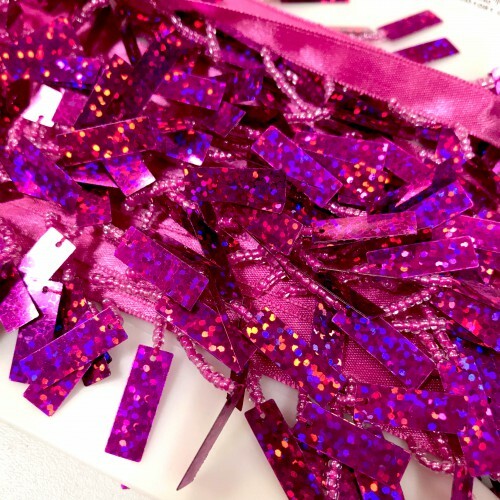 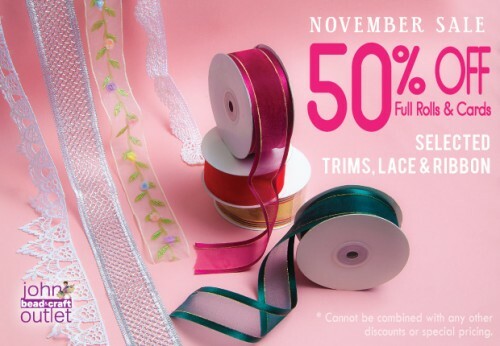 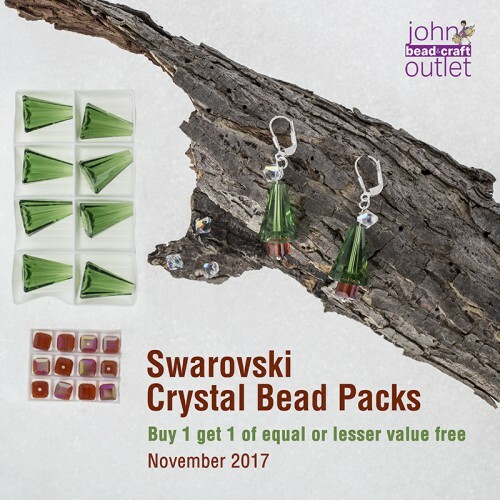 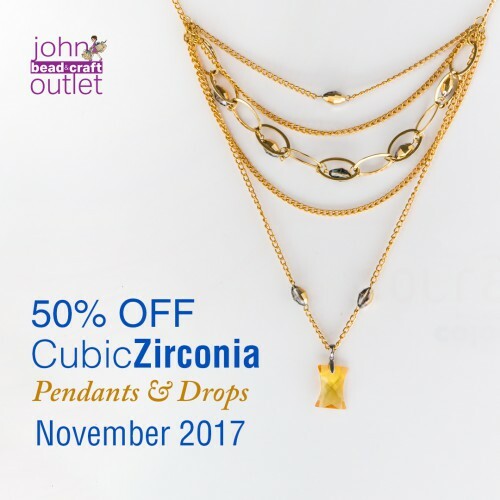 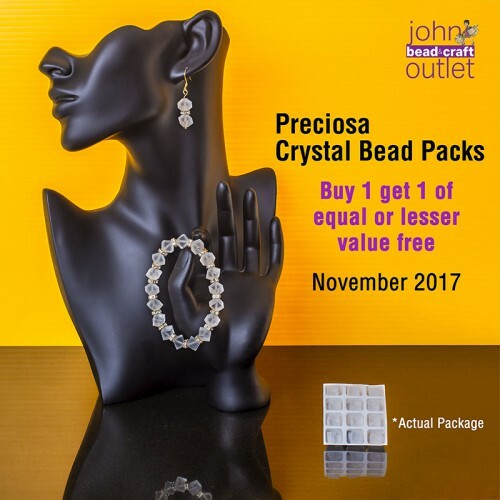 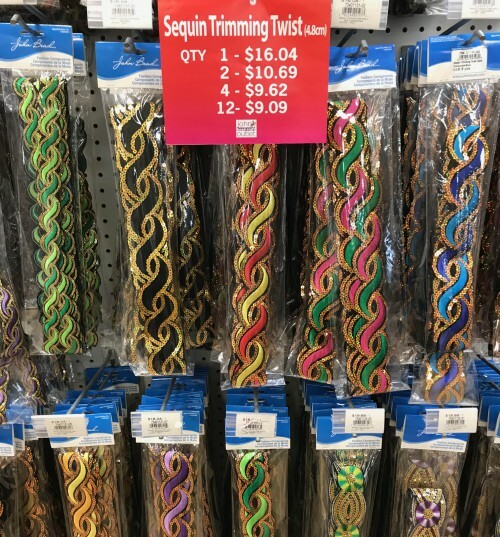 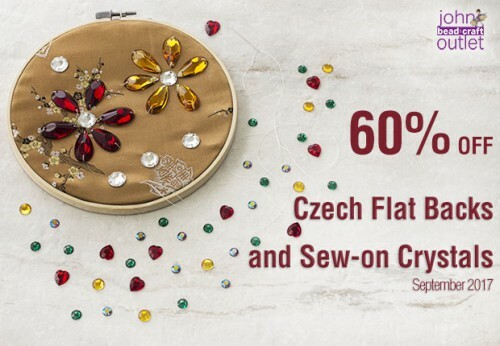 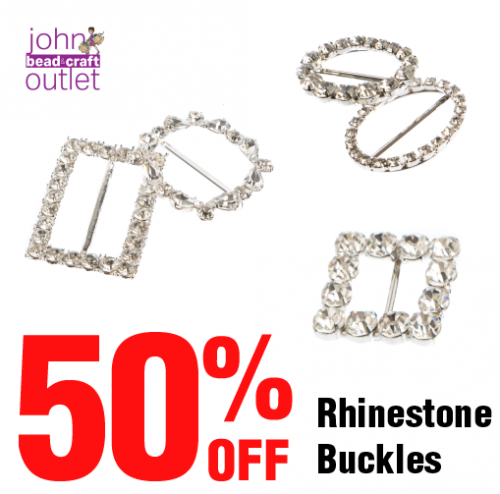 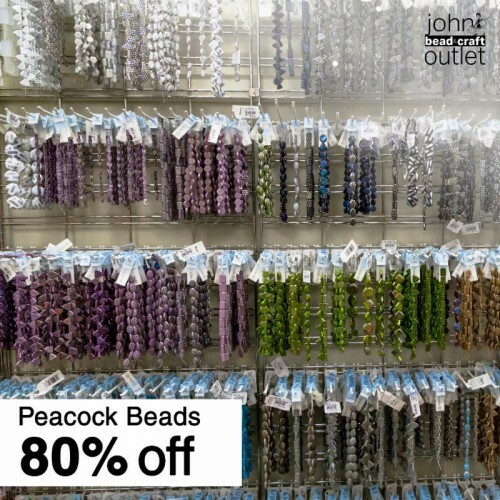 January 2018 – SEQUIN TRIMMING TWIST collection now 60% off! 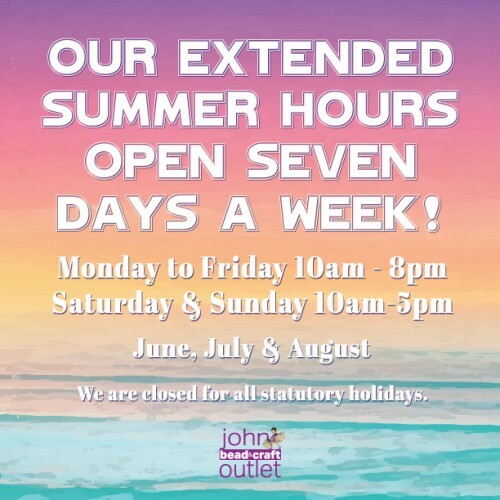 Standard exceptions apply to the sale as posted on our policy wall. 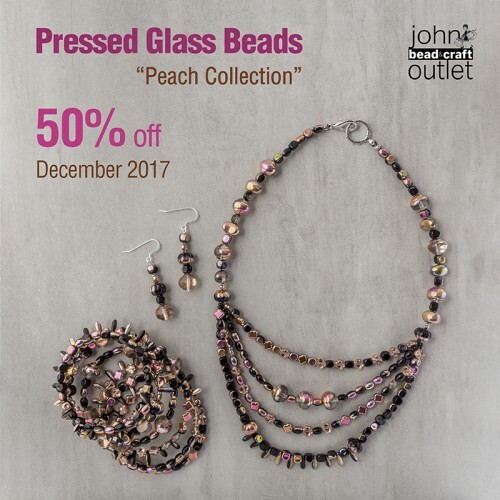 One of three wonderful sales in December! 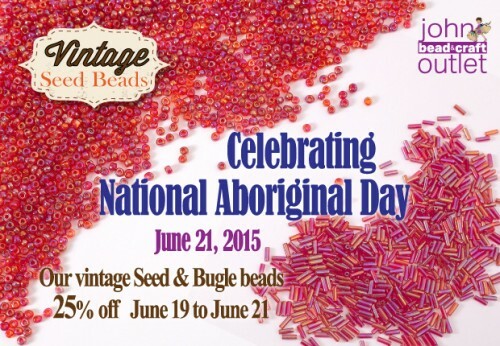 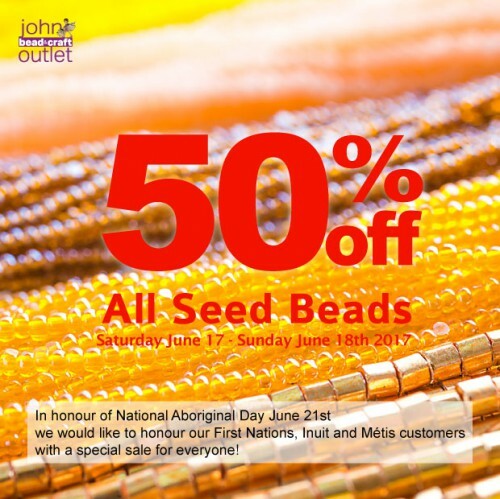 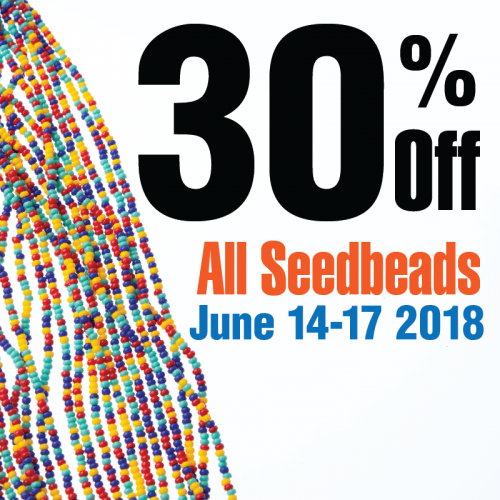 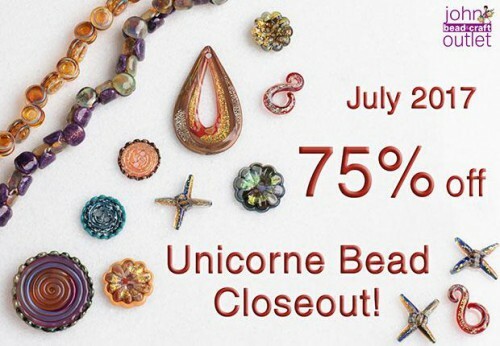 Sale runs until August 5th – Toronto Parade Day! 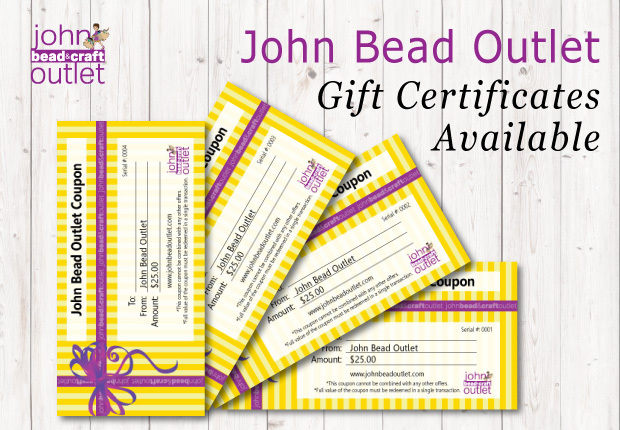 We now sell gift certificates! 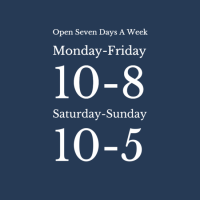 Many of our customers drive long distances to visit us on the weekend. 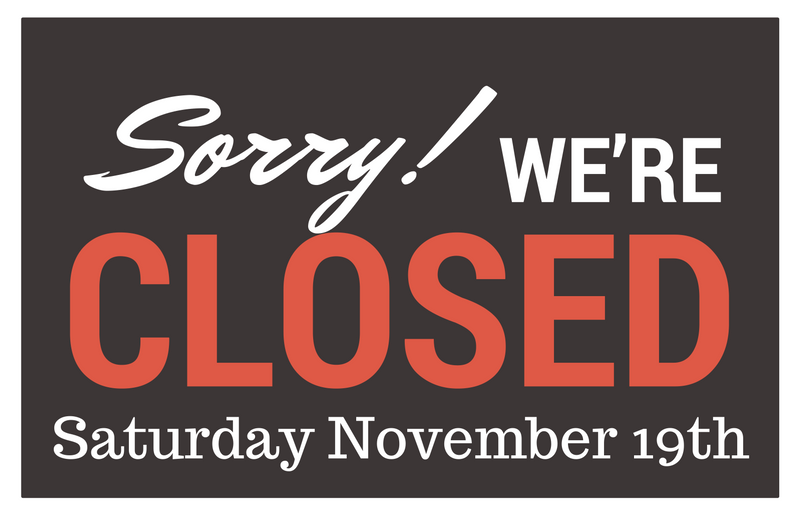 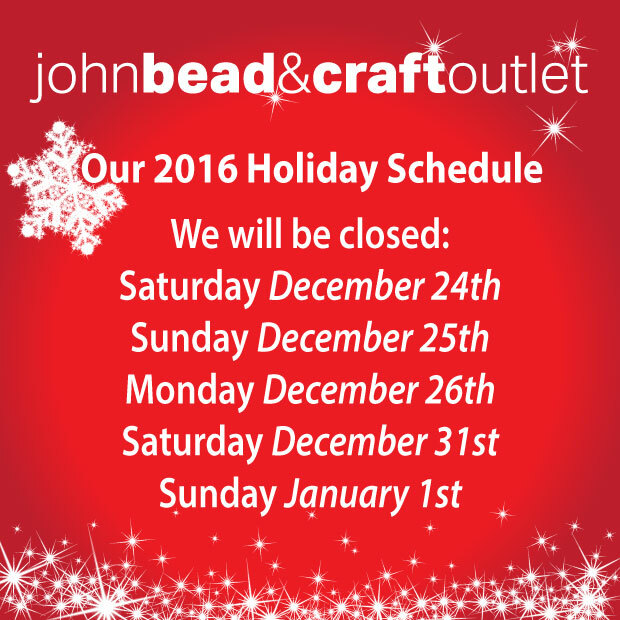 We have not been closed on a Saturday for a very long time so we wanted to tell you as quickly as possible. 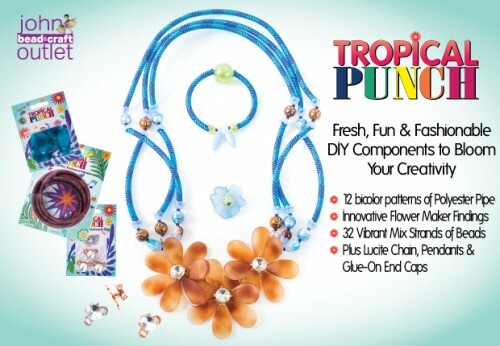 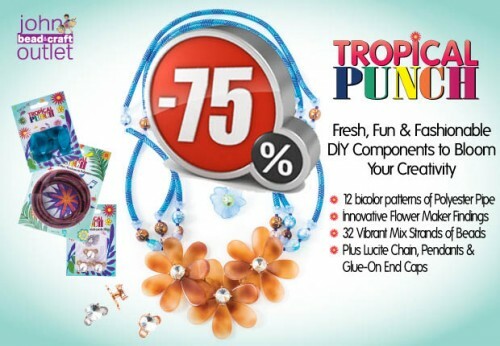 Tropical Punch Surprise Sale – 50% off until the end of August! 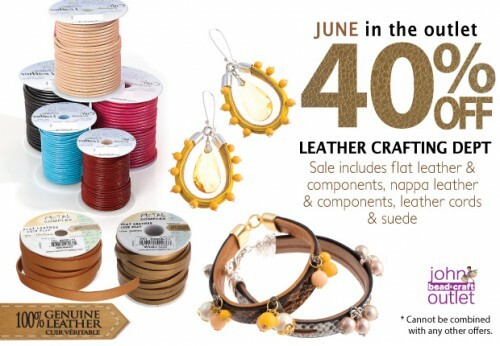 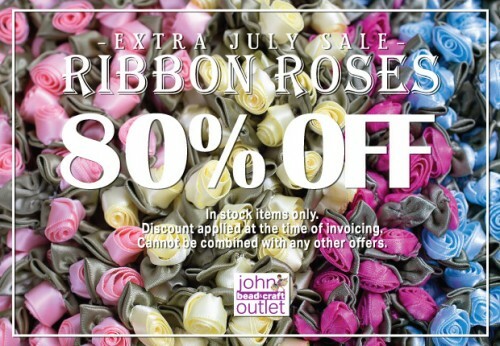 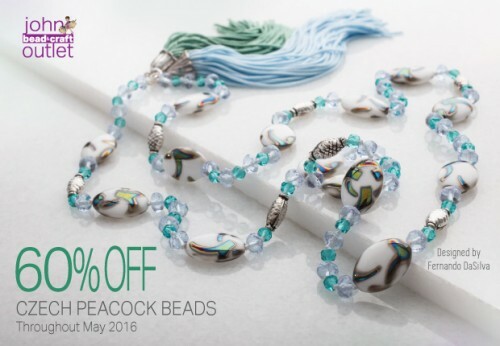 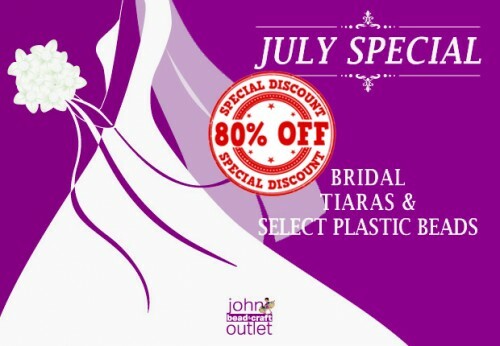 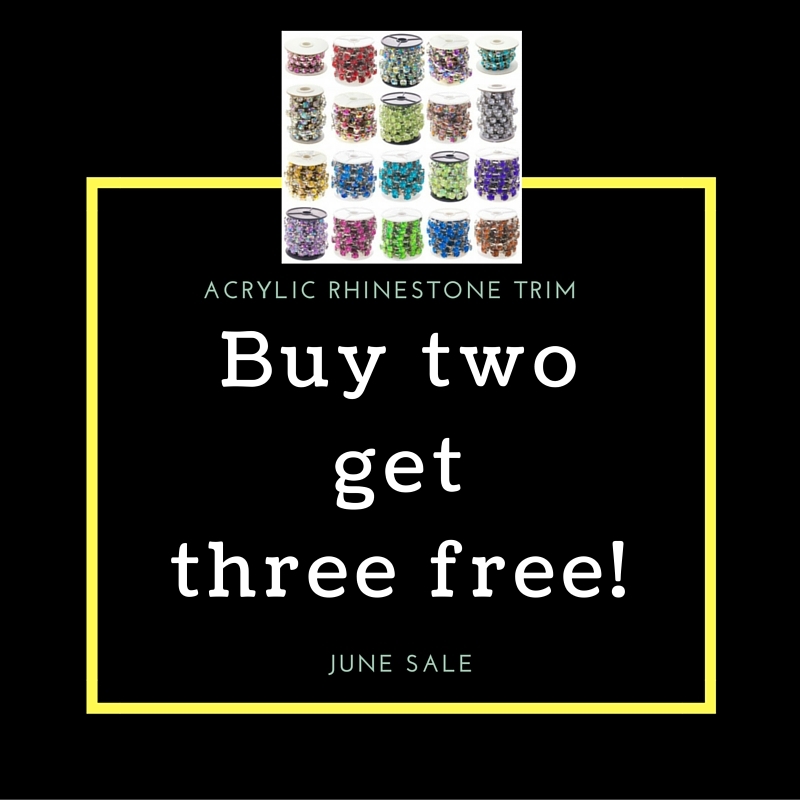 Our June Sale is excellent! 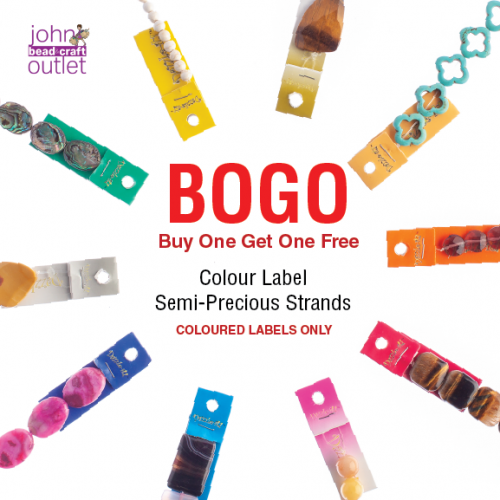 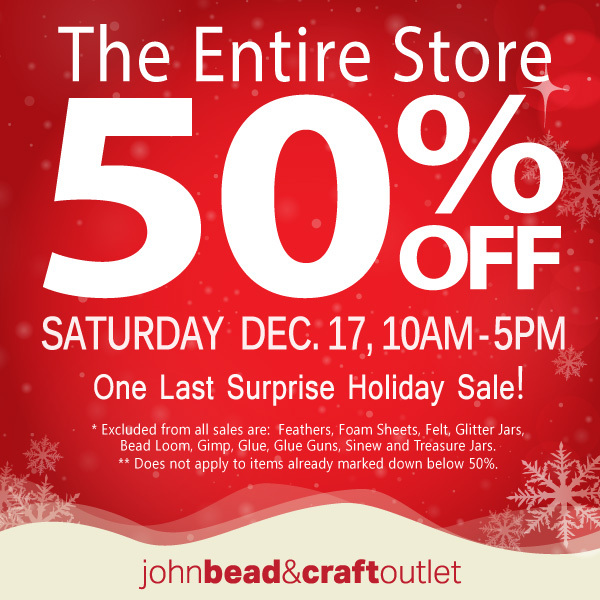 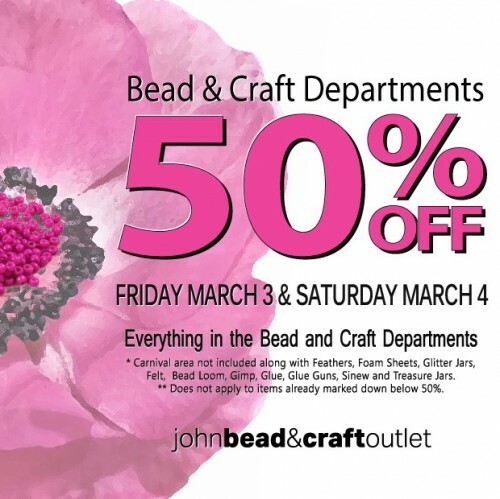 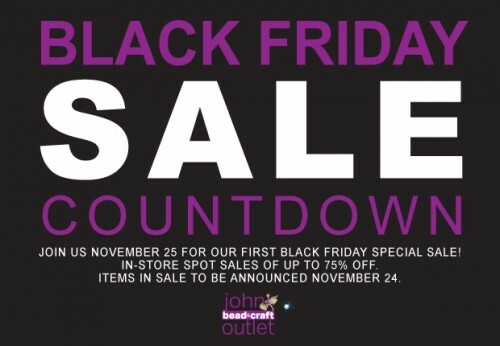 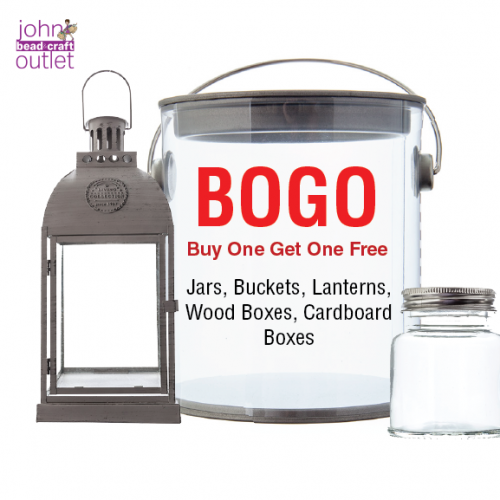 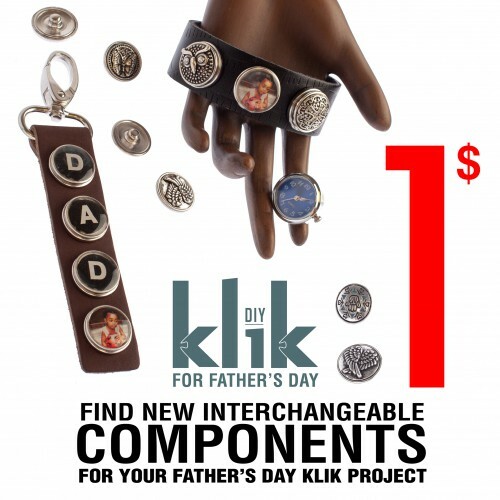 One Day Only – This Saturday! 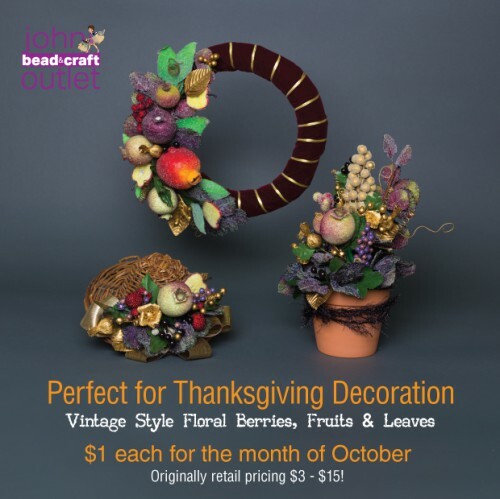 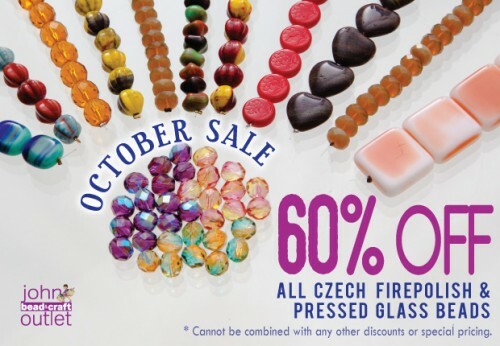 Our November Sale is a great one for gift giving! 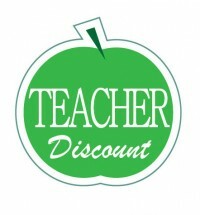 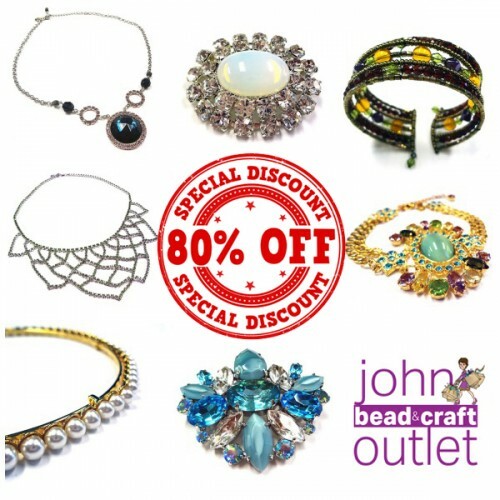 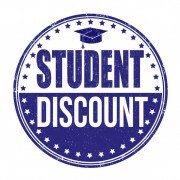 We have upped the discount on this month’s special sale to 80% off for the final week! 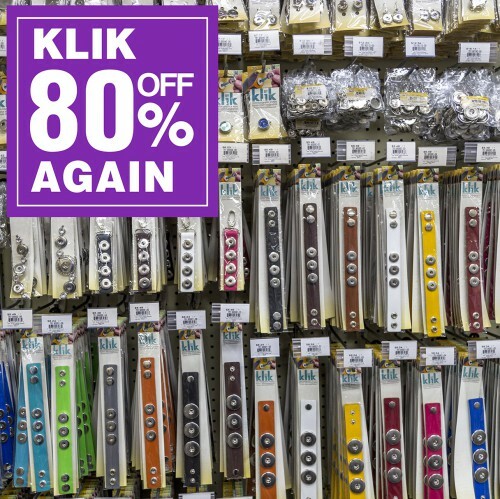 Fish Leather 80% off until stock runs out or June 30, 2015. 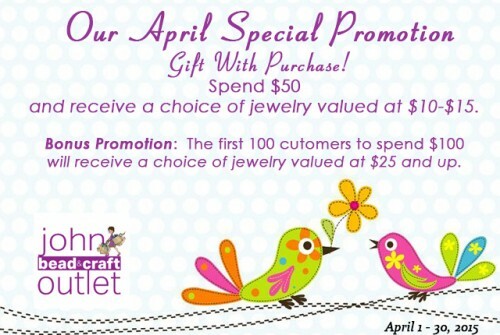 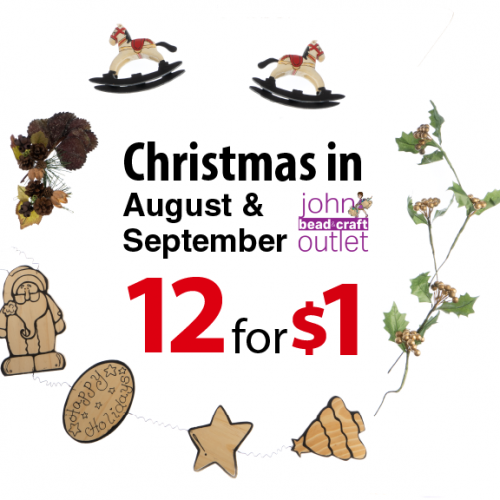 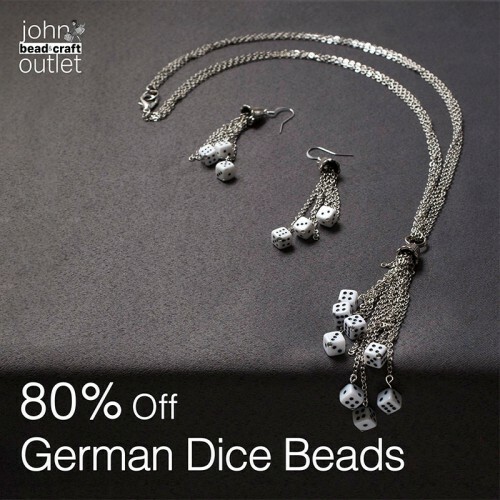 We have a stunning collection of handmade jewelry being sold in the Outlet. 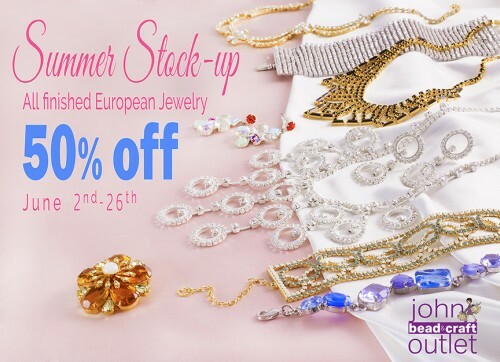 We purchased the contents of a European jewelry company (over 100,000 pieces), which closed overseas and brought these items to Canada. 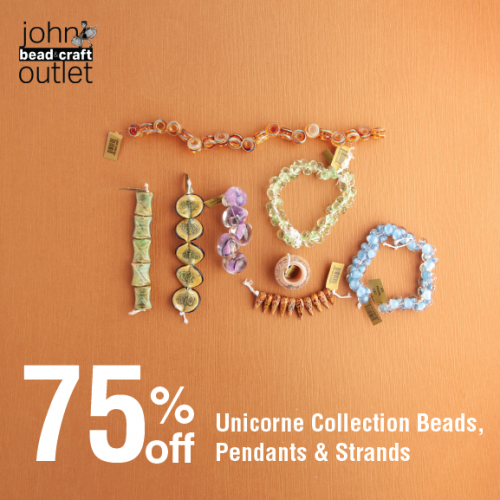 We are making these one of a kind pieces available to you exclusively in the Outlet. 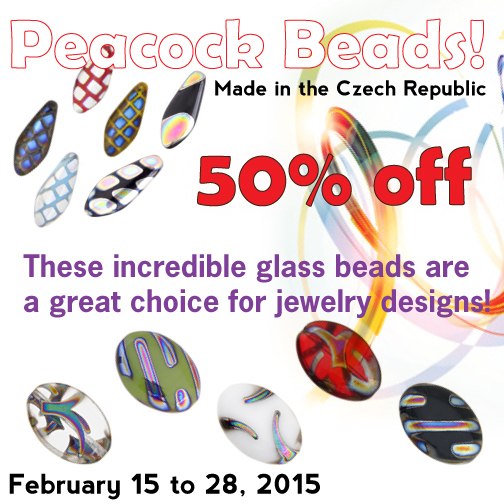 The jewelry is lead free, nickel free, and hand crafted. 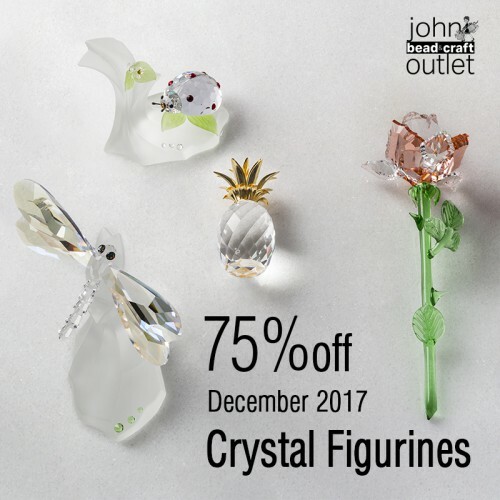 You will recognize some of the stunning crystals from major manufacturers, which have been incorporated into the design work. 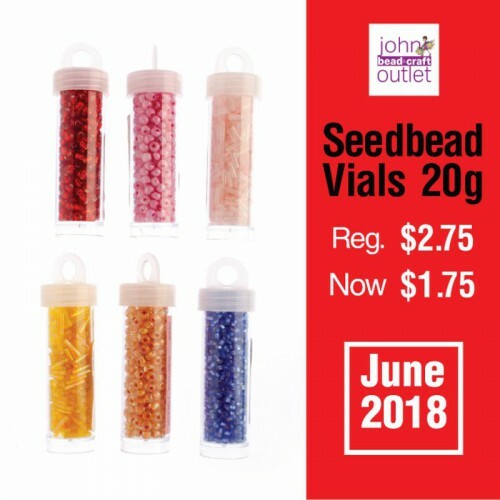 When these are sold, they will never be restocked. 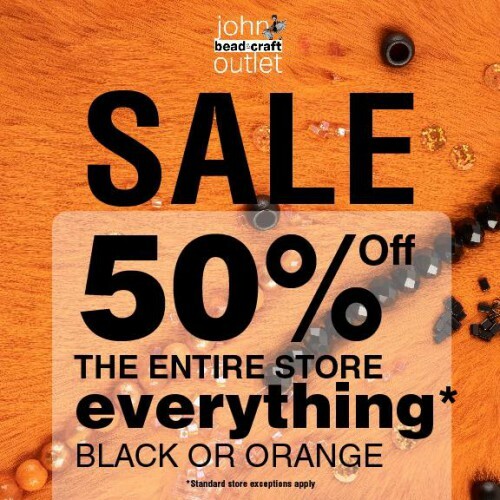 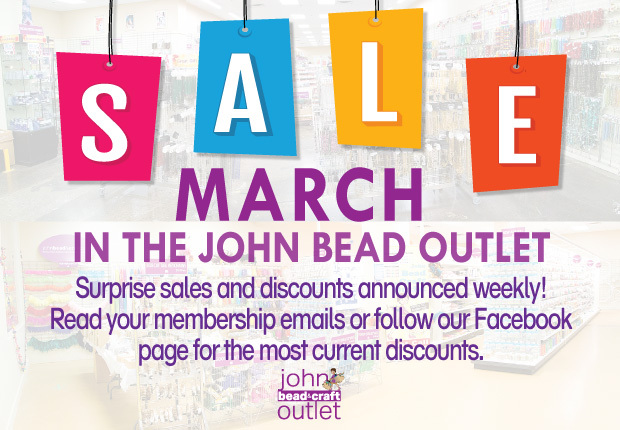 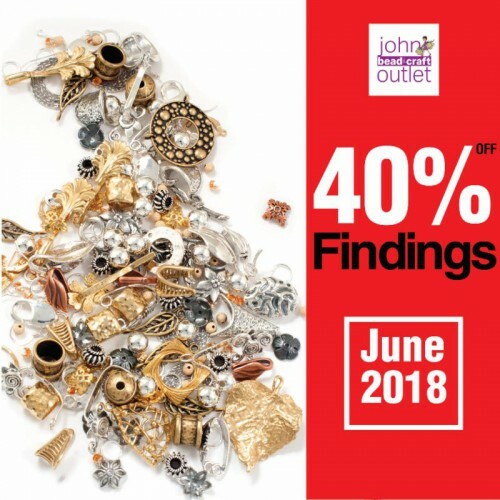 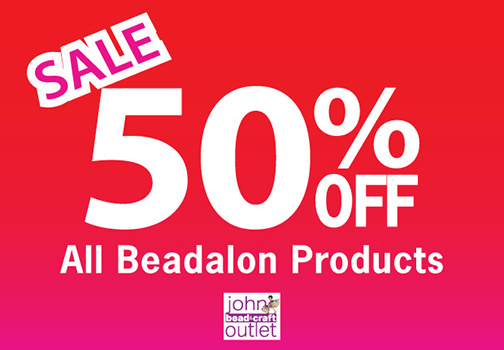 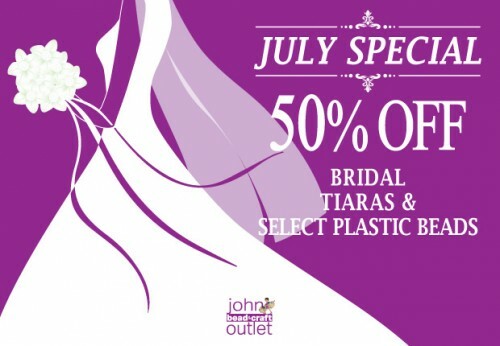 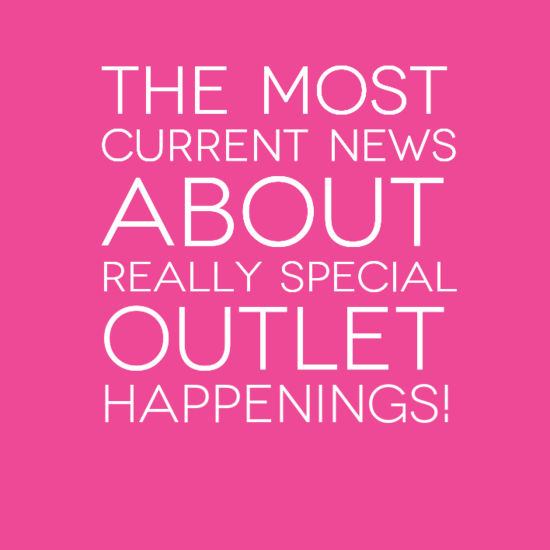 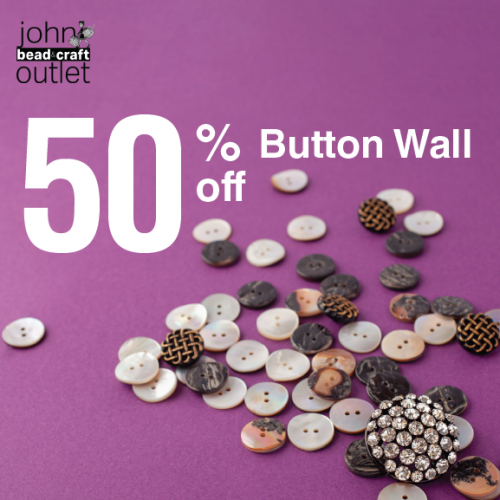 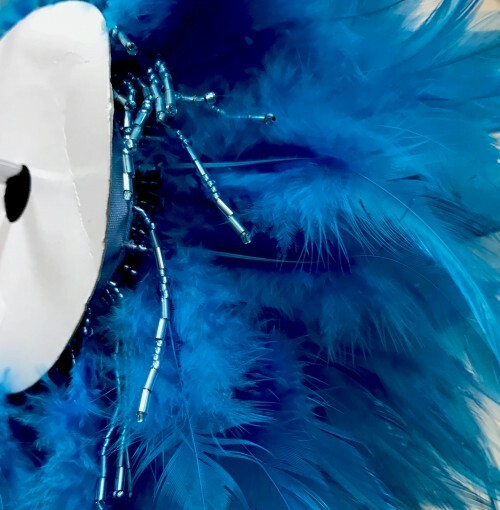 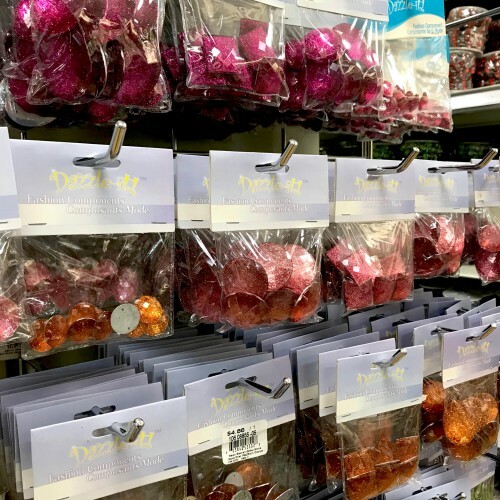 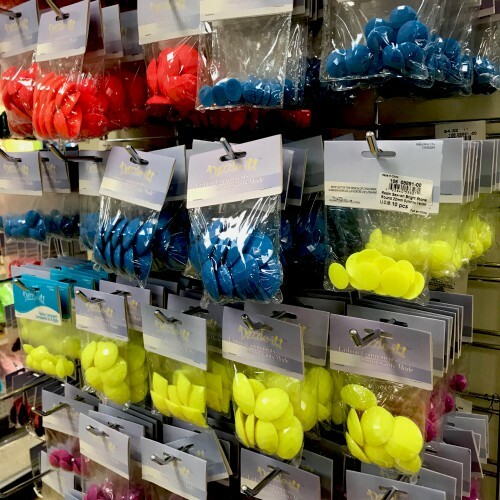 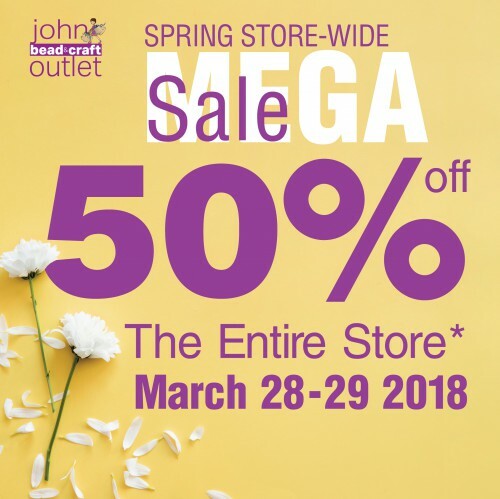 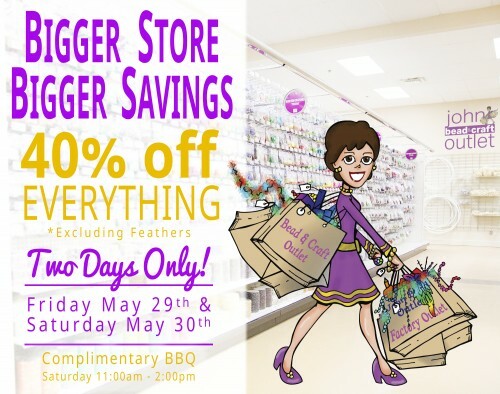 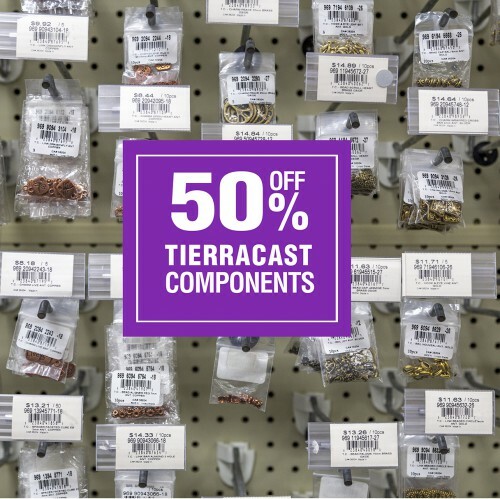 Our “40% off Everything” (except feathers) sales in the Outlet are extremely popular and an opportunity for everyone to stock up for summer projects and events. 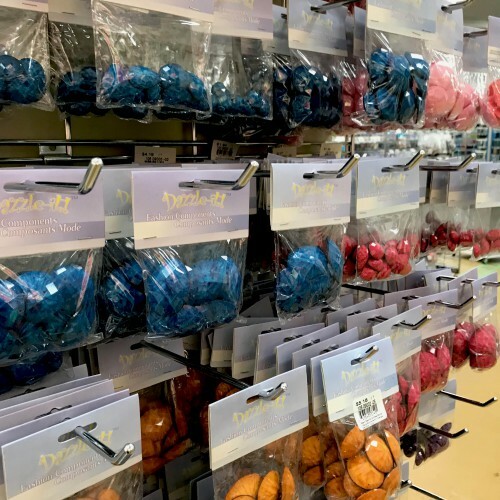 We also want to show off our expanded store. 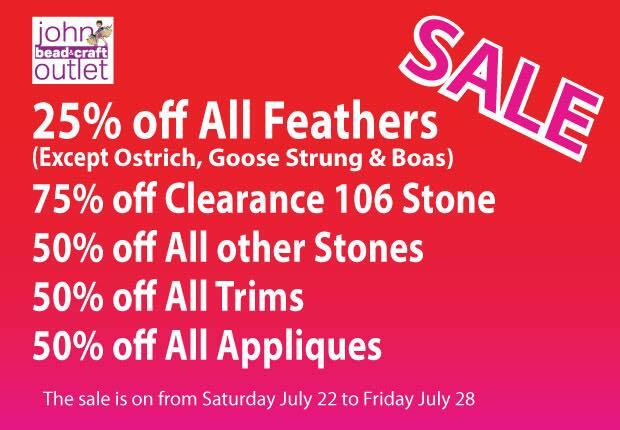 On Saturday we also have a COMPLIMENTARY barbecue from 11-2pm. 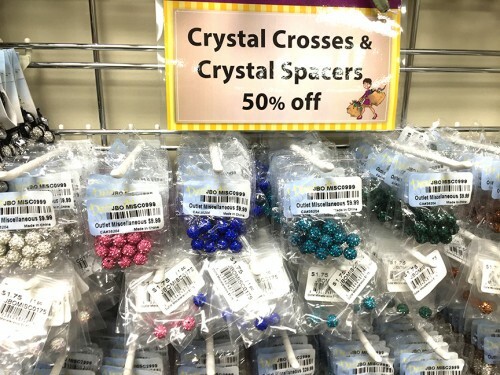 20% off our crystal crosses and spacers. 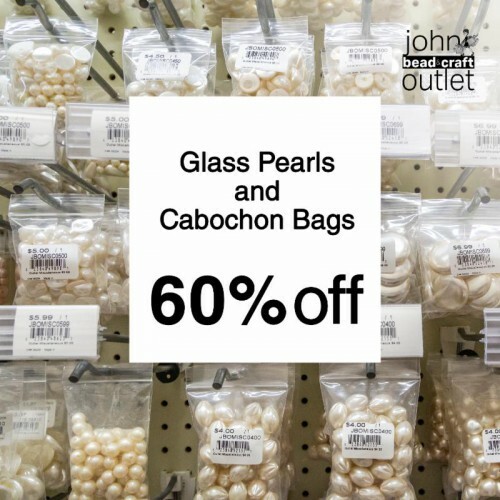 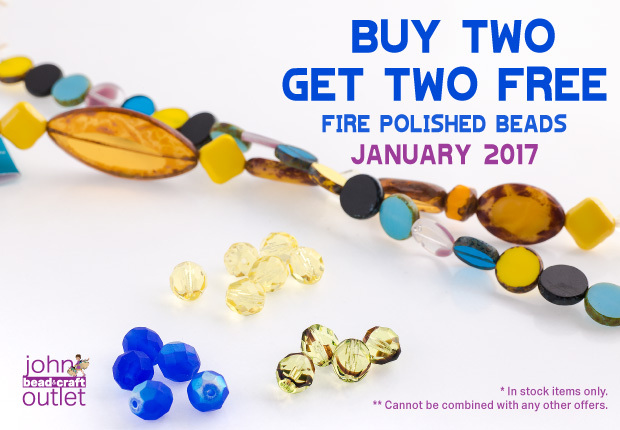 Sale marked in the store until February!